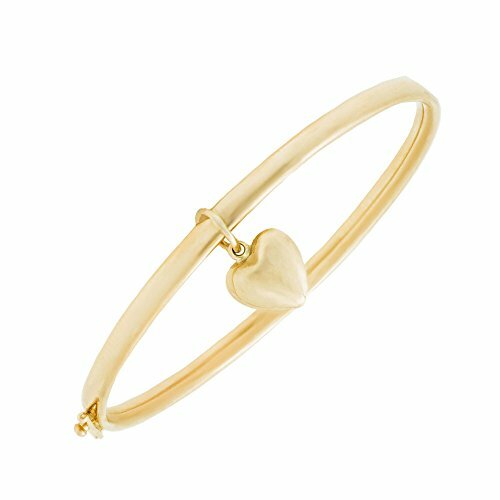 This beautiful little girl bangle bracelet is crafted of highly polished 14K yellow gold and features a sweet dangling heart. A simple and lovely design. 5 1/4 inches bracelet has a safety latch to keep it on securely.